POINT PLEASANT, W.Va. — Point Pleasant Primary School was placed on lockdown Wednesday as a precautionary measure until law enforcement located a suspect wanted on a felony warrant and took him into custody. 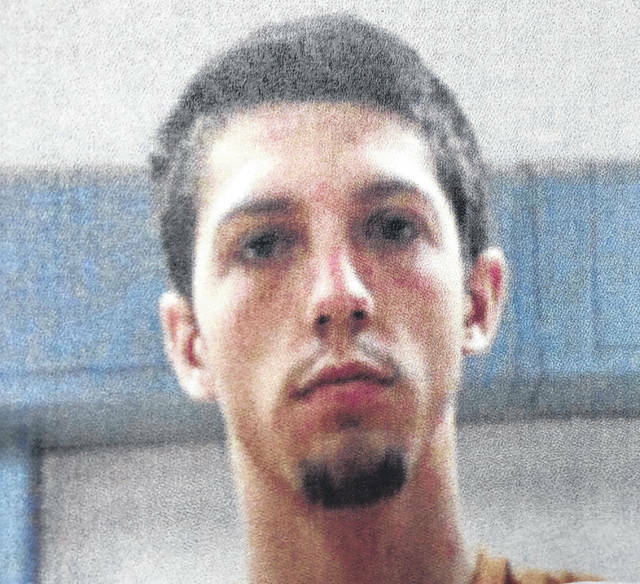 According to a press release from the Point Pleasant Police Department, James A. Griffith, II, 22, Point Pleasant, W.Va., has been charged with wanton endangerment. As of press time Friday, he was incarcerated in the Western Regional Jail with a bond of $50,000. According to the press release, around 9:45 a.m. on Wednesday, officers with the PPPD, along with law enforcement personnel with the West Virginia State Police and Mason County Sheriff’s Department, attempted to serve the felony warrant on Griffith at a residence in Point Pleasant. Griffith reportedly fled on foot from officers near the 2200-block of Mt. Vernon Avenue. Additional officers responded to the area in the search, as well as Mason County K9 Jerry and his handler Deputy Justin Veith with the sheriff’s department. With K9 Jerry tracking Griffith, calls were coming into Mason County 911 with reports of Griffith hiding in a yard on Mt. Vernon Avenue. With the area surrounded, Griffith was reportedly found hiding in an outbuilding under some material by the K9 unit. Griffith was arrested at this time, and treated for a dog bite and taser deployment, according to the PPPD. Additional charges of misdemeanor fleeing and possession of a controlled substance will be filed, also according to the PPPD. Point Pleasant Police Chief Joe Veith reported the investigation stemmed from an alleged incident that occurred on Monday, Jan. 14. The incident included a report of a vehicle chasing another vehicle on Jefferson Avenue and a passenger, reported to be Griffith, hanging out of one of the vehicles and allegedly firing two shots off from a handgun, Chief Veith added. If convicted of wanton endangerment, defendants can face one – five years in prison and/or fined $250-$2,500.